Asian Journal of Communication, an SSCI journal with a dedicated focus on Asian communication research, has published a special issue co-edited by three members of the lab, Dr. Jonathan Zhu, Dr. Winson Peng, and Dr. Hai Liang. The full volume can be accessed at https://www.tandfonline.com/toc/rajc20/29/3?nav=tocList. The theme of the special issue is “Introducing Computational Social Science for Asia-Pacific Communication Research”. A community of active researchers from Australia, Hong Kong, Japan, and the United States outlines major computational methods closely related to communication research, including user analytics, online experiments, and text mining. They demonstrate how these computational methods can be applied to address theoretical and practical research questions in Asia-Pacific societies. In the editorial of the special issue, the three co-editors highlight that computational social science (CSS) is not a mechanical piece-together of social science and computer science. CSS represents a paradigm shift in social science that pose equally, if not more, rigorous demands for theorization, research design, statistical analysis, and results presentation. Computational thinking and methods can offer communication researchers enriched opportunities to explore and can stimulate communication researchers to think outside the box. It is not beyond the reach of communication researchers to incorporate computational thinking and methods in their own research. They argue that some old-school principles in social science research (e.g. measurement validity, causal inference, unit of analysis) still rule in the age of CSS. Dr. Jonathan Zhu is the Founding Director of the Web Mining Lab and the Chair Professor of Computational Social Science with a joint appointment at the Department of Media and Communication and School of Data Science at the City University of Hong Kong. Drs. 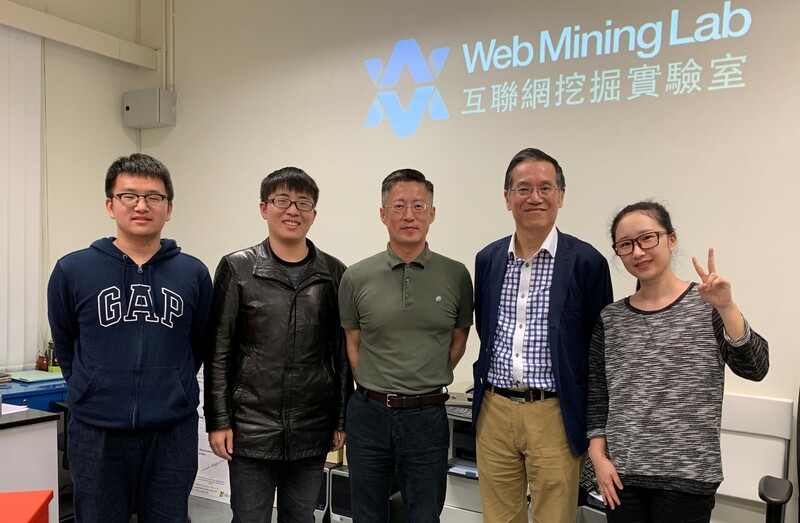 Winson Peng and Hai Liang are Ph.D. graduates of the Web Mining Lab, who are now faculty members at Michigan State University and the Chinese University of Hong Kong, respectively. The article, entitled “Applying user analytics to uses and effects of social media in China”, has been published in the special issue of Asian Journal of Communication on applying computational methods to communication research in Asia- Pacific, by Jonathan Zhu, Yixin Zhou, Lu Guan, Lei Hou, Anqi Shen and Heng Lu. In the article, they introduced what is user analytics method and illustrate how to do user analytics research. Finally, they presented an application study of Chinese bloggers to demonstrate how to employ user analytics methods to study the production, consumption, and effects of user-generated content. 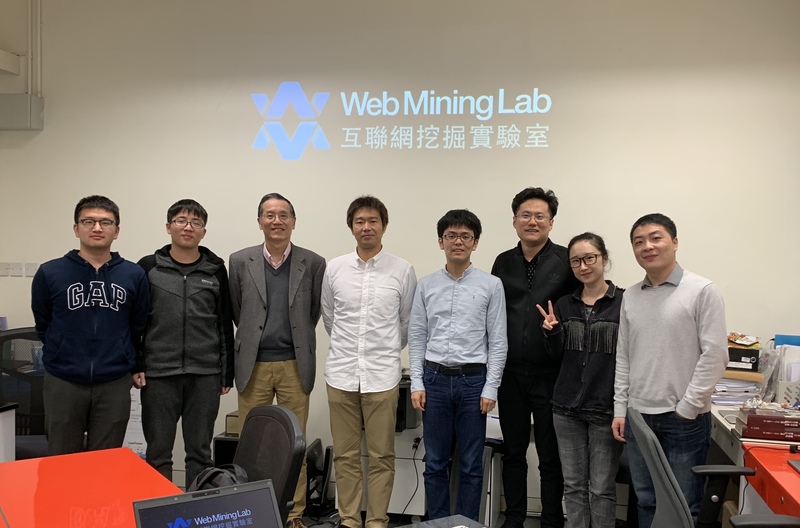 Dr. Toriumi and his student, Mr. Sonoda, visited the Web Mining Lab on Feb 19th. Dr. Toriumi is an associate professor of Graduate School of Engineering, The University of Tokyo. He is one of the pioneer scholars of computational social science in Japan. A student forum was organized during their visit. Mr. Sonoda and lab members including Hexin Chen, Lei Hou, Lu Guan, Ji Lan, and Zhicong Chen shared their research studies on mobile usage activities, influence of collaborative filtering on exposure diversity, sustainability of UGC platforms, reposting latency of news contents on social media, household’s TV viewing behavior, and book reader fragmentation. At the end of the visit, Dr. Toriumi and Prof. Jonathan Zhu of Web Mining Lab decided to co-organize an international conference in 2019 for computational social scientists in Asia-Pacific. More details will be announced later.